Sarah Nader - snader@shawmedia.com Sofia Carral, 5, of Crystal Lake checks out a school bus while attending the fourth annual Transportation Open House at TJA's bus garage in Crystal Lake Wednesday, August 10, 2016. The free event featured a first aid and bus safety equipment station, a safe seating demonstration, snacks, games, activities and more. 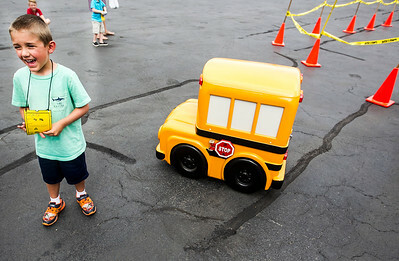 Sarah Nader - snader@shawmedia.com Will Komarnicki, 5, of Crystal Lake has his photo taken with a miniature school bus while attending the fourth annual Transportation Open House at TJA's bus garage in Crystal Lake Wednesday, August 10, 2016. The free event featured a first aid and bus safety equipment station, a safe seating demonstration, snacks, games, activities and more. 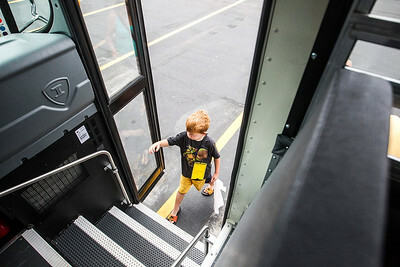 Sarah Nader - snader@shawmedia.com Noah Prather, 5, of Crystal Lake checks out a school bus while attending the fourth annual Transportation Open House at TJA's bus garage in Crystal Lake Wednesday, August 10, 2016. The free event featured a first aid and bus safety equipment station, a safe seating demonstration, snacks, games, activities and more. 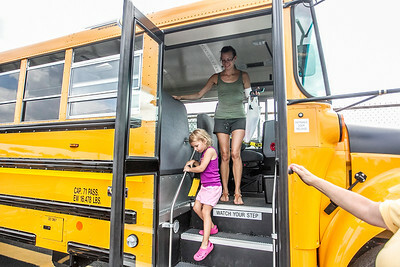 Sarah Nader - snader@shawmedia.com Elizabeth Finger (left), 5, of Crystal Lake and her mother, Carolyn Finger, check out a school bus while attending the fourth annual Transportation Open House at TJA's bus garage in Crystal Lake Wednesday, August 10, 2016. The free event featured a first aid and bus safety equipment station, a safe seating demonstration, snacks, games, activities and more. 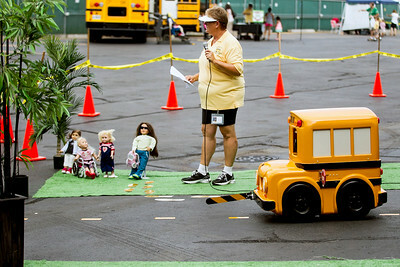 Sarah Nader - snader@shawmedia.com Bus driver Betty Urias gives a presentation to children about bus safety during the fourth annual Transportation Open House at TJA's bus garage in Crystal Lake Wednesday, August 10, 2016. The free event featured a first aid and bus safety equipment station, a safe seating demonstration, snacks, games, activities and more. 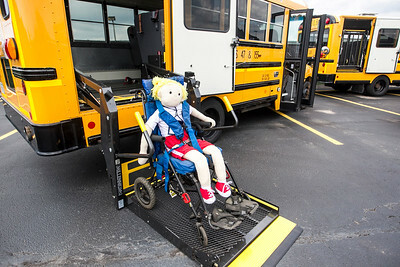 Sarah Nader - snader@shawmedia.com A prop shows kids how special needs children enter a school bus at the fourth annual Transportation Open House at TJA's bus garage in Crystal Lake Wednesday, August 10, 2016. The free event featured a first aid and bus safety equipment station, a safe seating demonstration, snacks, games, activities and more. Sofia Carral, 5, of Crystal Lake checks out a school bus while attending the fourth annual Transportation Open House at TJA's bus garage in Crystal Lake Wednesday, August 10, 2016. The free event featured a first aid and bus safety equipment station, a safe seating demonstration, snacks, games, activities and more.